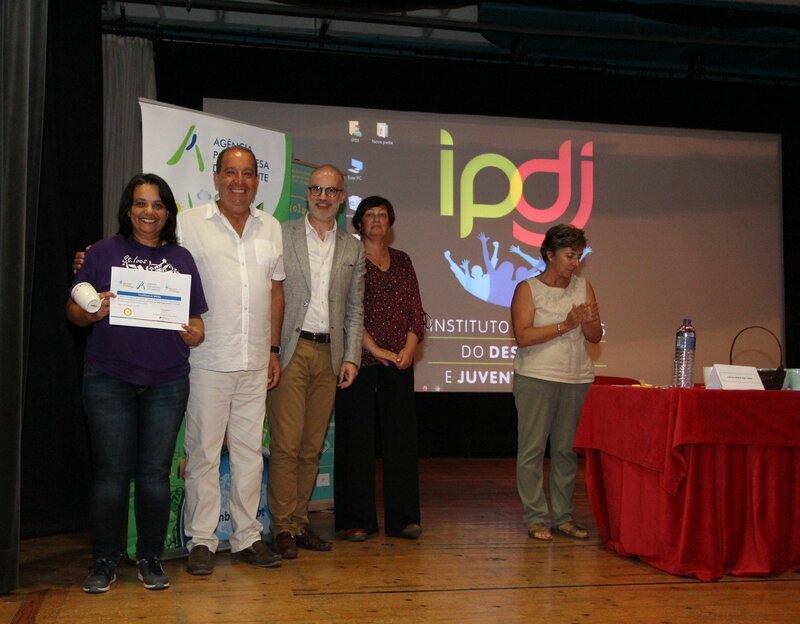 On October 1st, A Rocha received a certificate of merit from the Portuguese Environmental Agency (APA) under the direction of Dr. Francisco Teixeira, director of the Department of Communication and Environmental Citizenship of the APA / Lisbon. 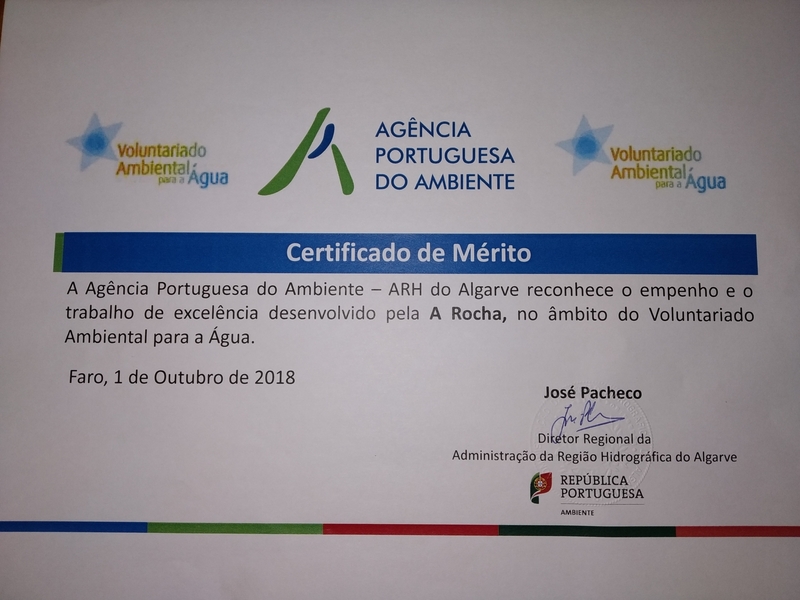 A Rocha received the certificate for our contribution to the Environmental Volunteering for Water Project during 2018. In addition to the certificate of merit, A Rocha was also awarded the designation of “Ambassador” partner for our collaboration since the beginning of the project, recognition that makes us quite proud and aware of responsibility. The ceremony took place in the auditorium of the Portuguese Institute of Sports and Youth (IPDJ), in the presence of the director Dr. Custódio Moreno. This was part of one of the many activities carried out by the SEIVA project (Education Initiatives Week and Environmental Volunteering Week), a project which A Rocha also joined, providing three activities in the Ria de Alvor. Photo: Isabel Soares, A Rocha; Dr. Custódio Moreno, Director of IPDJ in Faro; Dr. Francisco Teixeira, Director of departamento de Comunicação e Cidadania Ambiental da APA/Lisboa and dra. Isabel Moura of APA/Lisboa.